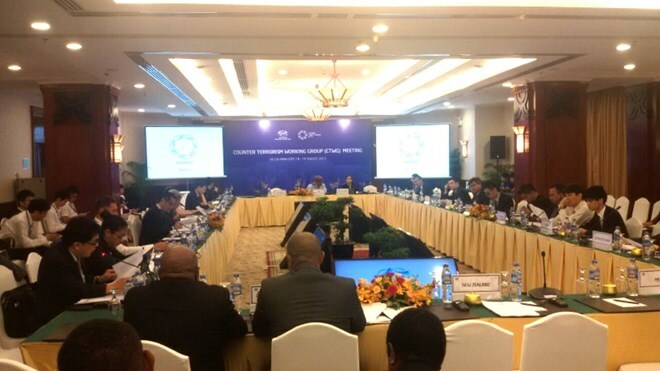 HCM City (VNA) – James Nachipo, Chairman of the APEC Counter Terrorism Working Group (CTWG), stressed that terrorism is a hard issue that requires more work and cooperation in the APEC region. He told the Vietnam News Agency on the sidelines of the CTWG Meeting that is taking place in Ho Chi Minh on August 18-19. Nachipo said that during the meeting, 49 delegates from APEC member economies mulled over the group’s strategic plan, which will be expired this year, and set forth a new strategic plan for the 2018-2020 period, focusing on air terrorism. The group is also developing another plan that looks at counterterrorism finance, movements of terrorists and foreign fighters, security and trade, and security infrastructure, he said. A plan for 2018 will also be made to identify a number of projects and activities which will be taken by the member economies this year to support the group, Nachipo added. During the August 18 working session, the group discussed the draft APEC Leaders Declaration 2017 on Counter-Terrorism submitted by its Chairman James Nachipo, under which the APEC economies noted with concerns the growing threat of terrorism in the region. They were committed to countering the spread of radicalisation conducive to terrorism, terrorists propaganda, including the use of the internet and social media for terrorism related purposes, as well as acts of public justification of terrorism intended to incite terrorists acts. To enhance synergy of global counterterrorism efforts, APEC will enhance its cooperation with major international organisations such as the UN and the Finance Action Task Force.